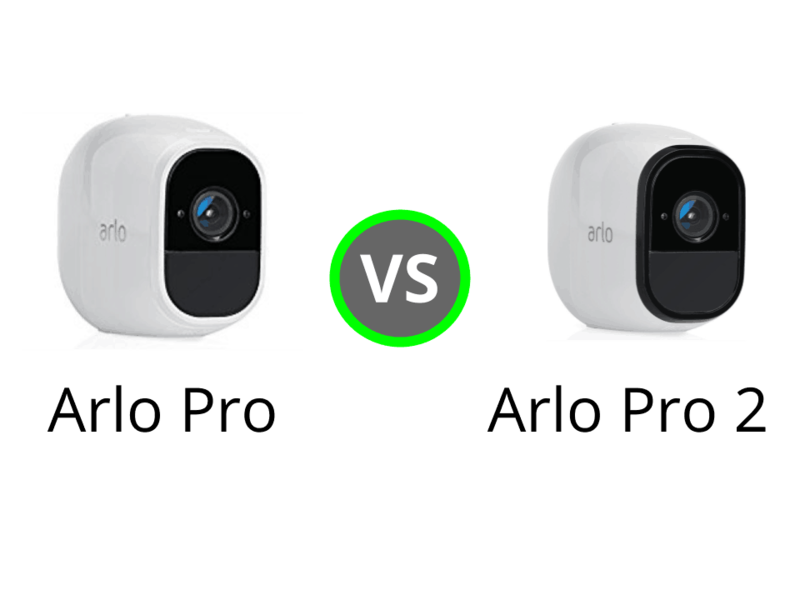 In this post, I compare the Arlo Pro and the Arlo Pro 2. These are the nearly identical Arlo twins that were “born” a year apart. The Arlo Pro was launched in late 2016, the Pro 2 late 2017. To look at, these two cameras are very nearly identical. But the real differences are hidden and in this post I explain what these differences are and whether they are good enough to buy a Pro 2 instead of a Pro. Are The Upgrades Worth It? Whilst the Arlo Pro 2 records footage at 1080p, the Arlo Pro records it at 720p. Resolution is one of the most important features on a smart security camera. And the simple reason for this is that the picture is clearer and there are more details in it. There are loads of reasons why this is important and I think that the main one is that in a situation where camera footage is used by the local police to solve crime, higher quality images will make their job easier. Important details such as faces and car number plates will be clearer. As an example, look at the image below to see the difference in clarity between 1080p and 720p. The Pro 2 can be powered by battery, AC adapter or solar panel. This is a huge upgrade because an Arlo Pro 2 that is plugged in can do more than a Pro 2 running on batteries- just look below. In contrast, the Pro can only be powered by a battery or a solar panel. It’s AC adapter can only be used to recharge the battery. The next three essential features are only on the Arlo Pro 2 and only when it is plugged in. These are also known as motion zones. Activity zones are selected areas within the field of view that focus motion detection. You can create up to three different activity zones. “Look Back records the three seconds before motion is detected by your Arlo Pro 2 camera”. The three seconds are included in the motion detected clip. CVR is when your camera never stops recording footage. The Pro 2 has this feature, but the Pro doesn’t. CVR is a very powerful tool because you don’t miss a thing- everything is recorded. Potential disadvantages of this constant monitoring include the fact that you need to pay for a cloud storage plan to store all of this data. And it means that there is so much more footage for someone to look at when they are checking on what the camera has recorded. A great set of features is all well and good but unless they translate into reliable and impressive performance day in day out, they are as good as useless. A quick recap. The Arlo Pro has a resolution of 720p, the Arlo Pro 2 1080p. Is the resolution much better in practice? And is it worth spending much more money on?! The 1080p provides more vibrant, deeper and more life like colors to any image. And the details are better- facials features are more defined, individual leaves on trees, bricks in walls and collars on dogs can also be seen with greater clarity. In such conditions, the quality of the 1080p will be good enough to recognise a stranger’s face. The difference in quality between the two cameras is big enough to justify buying the Arlo Pro 2. As mentioned earlier, these two cameras use the same night vision technology. Both of them have 8 infrared LEDs. And with the better resolution, the contrast are better between the blacks and the white in an image. The difference in people’s faces is that with the Arlo Pro 2 individual features such as the nose and eyes are defined, whereas with the Arlo Pro faces just seemed to be a featureless blur. There is a difference but it is not large enough to justify buying the Pro 2 instead of the Pro. Motion detection monitors movement across the camera’s whole field of view. The Arlo Pro just uses basic motion detection. The Arlo Pro 2 also has basic motion detection, which is more sensitive. It detects motion from objects that are smaller or further away than the original Pro. Activity zones are a more sophisticated form of motion detection because they allow for specific areas within the whole field of view to be created. These zones work well in the Pro 2 but they do have a huge limitation- they only work when the camera is plugged in. As if that isn’t bad enough, currently Arlo Pro 2 only has an ac adapter that can be used indoors. Arlo are working on a replacement cable that is suitable to be used outside. And so you can only use activity zones when the Arlo Pro 2 is sited indoors. And neither the Arlo Pro or the Arlo Pro 2 yet have access to another advanced motion detection feature- person detection. This will be part of a paid for subscription (Arlo Smart) that will be introduced in the near future. Other smart cameras, such as the Amazon Cloud Cam and the Nest Indoor Cam, have access to person detection already. Mmm. If you are only ever going to use the Arlo Pro 2 indoors, then this feature makes it worth buying. If not, stick with the Arlo Pro for now. Do you want to know what happened just before your motion alert? This feature adds 3 seconds of footage before your event, so that you can see the whole picture. Unfortunately, it is only available for the Arlo Pro 2. And, it is limited because Look Back will only work if the Pro 2 is plugged in and with the current power lead, it can only work if the camera is used indoors. This is a fantastic feature and improves motion detection in a big way. If you are using the Pro 2 indoors, then this feature makes it worth buying. If you think that at some point you might want to use version 2 outdoors, stick with the Pro. The Arlo Pro 2 has CVR but the Pro doesn’t. This is another incredible feature but it has its limitations. The Pro 2 needs to be plugged in and you also need to sign up for a paid cloud storage plan. There are two CVR plans- 14 days and 30 days. The 14 day plan will cost $9.99 per month or $99 per year. Each additional camera is $5 per month or $50 per year. The 30 day plan costs $19.99 per month or $199 per year. Each additional camera is $10 per month or $100 per year. The 14 or 30 day plan will result in a lot of stored video for you to look through. And Arlo haven’t yet got the special functions such as person detection to help you sort this mass of data, which could be overwhelming. This is a very powerful feature that will cost a lot. I think that it could be very helpful to some businesses but of limited use to most individual users at the moment. So that is the differences between the Pro and the Pro 2 done with. Let’s move onto the features that these two cameras have in common. And because they are nearly identical twins, there are too many similar features to include them all. Yes, as premium cameras, the Arlo twins have 2 way audio, live stream and your other standard features but so do many other wi-fi cameras. And so, I am sticking to the essential features- the features that make these security cameras stand out from the crowd. 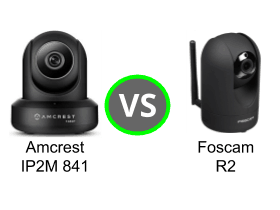 Both cameras connect to a base station and the base stations are compatible with the Pro and the Pro 2. This flexibility is very useful for a person who already owns some Arlo Pros but wants to buy some more Pro 2’s to use on the same system. Extending battery life- which makes it such a great outdoor camera. Like many electrical devices, these Arlo cameras have a minimum and maximum temperature that they operate best within. 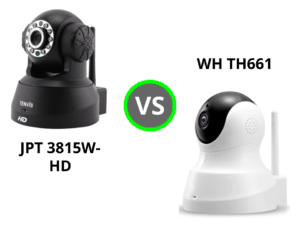 And the range is 14° to 122° F.
But on top of that these two cameras have an IP rating, which only the very best outdoor products have. IP stands for Ingress Protection and it is an industry wide standard. The two numbers show how dust and water resistant a gadget is. 65 means that these cameras are highly resistant to dust and water. Remember the Pro 2 currently does not have an AC adapter that is suitable for use outside. The difference between an outdoor device having just a suggested temperature range and having an IP rating is huge. An IP rating gives a device a whole new level of guarantee about its performance when it is hot and cold and wet! These two Arlo devices have a 130° (horizontal) field of view. This is a very large field of view by wi-fi camera standards. Large field of views are important for cameras that have no mechanical pan, tilt and zoom capabilities because the cameras are static and the larger your field of view, the more that can be “seen”. The base station has a built in siren, which can be accessed by both cameras. This is a very useful security feature that can be activated automatically in response to a sound or motion alert. But be careful, it is loud enough to almost burst your ear drums. The Pro and the Pro 2 (via the base station) can create a backup of video footage. But this feature has a big drawback! It will only work if you subscribe to one of the cloud storage plans. This is ideal for a person who only ever needs 7 day cloud storage because that option is free. For everyone, this feature is less than useless! What is the point of making a back up of cloud storage? 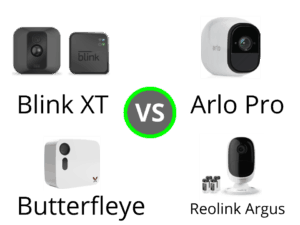 Arlo cameras are compatible with some of the biggest smart home systems in the world. And this compatibility is very important because of the way that it allows devices to work together. These two cameras will work with Amazon’s interactive Echo devices and their digital assistant, Alexa. At the moment that is about the limit of it’s capabilities. Arlo users are demanding more and would like to be able to arm or disarm an Arlo camera via Alexa. Voice commands offer lots of fascinating and useful potential but the technology is really still in it’s infancy. Alexa has definitely grabbed people’s attention but there is a lot of user frustration about the pace of development. If you have an Echo device, then you should certain link it to your Arlo cameras. But, don’t go out and buy an Echo device just to use with your Arlo cameras because you will be disappointed. Looking at the documentation, only the original Pro can work with SmartThings, Samsung’s smart home system. It doesn’t look as if the Pro 2 is supported. After connecting an Arlo Pro to your SmartThings hub, you can view live footage on any Smart TVs that are part of your SmartThings network or you can view live footage and get motion clips on a special SmartThings app, Smart Home Monitor. If you have a SmartThings hub, by all means connect your Arlo Pro to it. 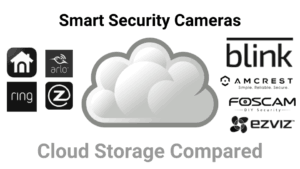 But, don’t go out and buy a SmartThings hub just because you have a few Arlo cameras. IFTTT is a free app that allows us to connect different smart devices together. Both the Pro and the Pro 2 are compatible with this system. and by connecting devices, we can save time and our devices can do more. Devices are connected together via applets, which are tiny sets of instructions. Arlo has created 12 of its own applets. But, if none of those tickle your fancy, read my article in which I have listed the best applets for Arlo cameras! Start using this terrific app! You have nothing to lose (apart from loads of time) as it is free and intriguing. Its usefulness goes way beyond Arlo cameras and smart homes. Intrigued? Read my beginner’s guide. Remote Access is the ability of a device to be controlled without being physically touched. It is at the very heart of smart gadgets. The two Arlo devices are both controlled by the same app. iPhone or iPad will need to be running iOS 9 or later. Android phones will need to be running 4.1 or later. A big bonus is that you can also access your Arlo cameras via a web browser. Not all apps for smart cameras are created equally. Arlo have created a phenomenal app in my opinion- they have “hit this one out of the park”. The app provides incredible levels of control with a beautiful and easy to use design. Anyway, I will explain the app in much more detail below…. Both Arlos can use geofencing. Geofencing uses the location of a smartphone to turn a wi-fi camera on and off by tracking it on a virtual map. The user creates a boundary on the map and when a phone crosses the boundary, a camera is turned on or off. Geofencing is a very clever concept that I think in real terms offers very little apart from the ability to turn a device on or off. I think that it is more useful when it is used with smart thermostats. makes a lot of sense to be used This is a very useful feature especially for those of use who are forgetful and don’t remember to turn devices on or off. The app that Arlo have built to control these cameras is a very powerful beast. Fortunately it comes with a great design and so it is fairly easy to use. It is also very reliable. This great video offers a clear and easy to understand overview of the Arlo App. It walks you through the main features of the Arlo app from a web browser and so it has an extra section (“Settings”) that isn’t on the app as seen on your iOS or Android device. Library- This shows you all of your stored video clips. These clips can be shared, favourite, downloaded or deleted. Modes- There are 4 modes; arm, disarm, schedule and geofencing. Once you tap on a camera to select it, you will have a huge range of options. The Pro 2 is a real work in progress. At the moment it falls way short of its promising potential. Buy only if you can't live without 1080p! 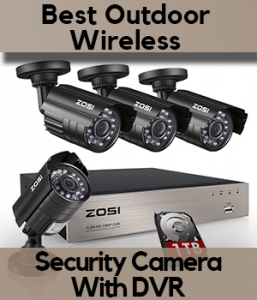 This is the perfect camera for the person who needs a weatherproof, battery operated camera above all else and who can live with a simpler resolution and motion detection functions.